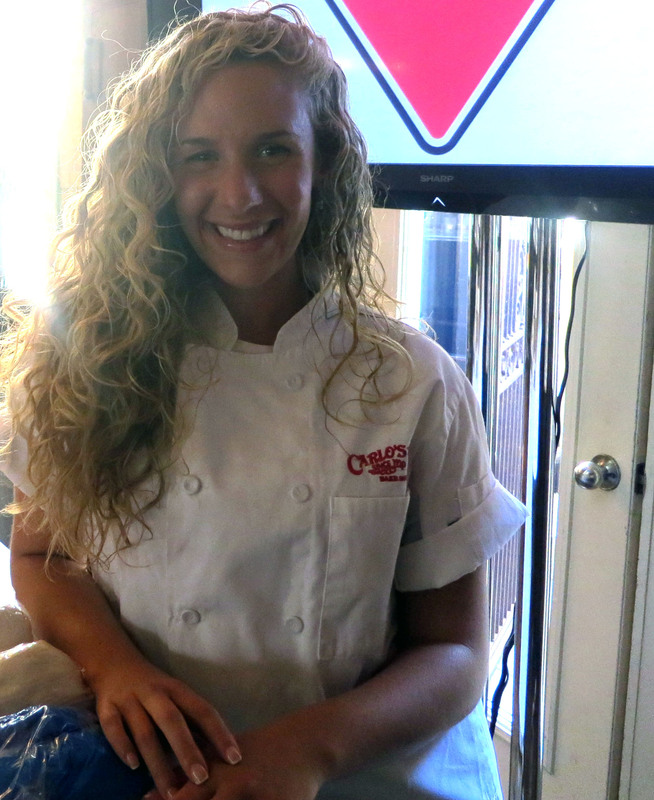 I was thrilled (and a little nervous) to have the chance to learn how to decorate cakes with Gabby Parisi, a cake decorator from the Cake Boss bakery! Thanks to Canadian Tire, Gabby was there to teach us how to cover a cake with fondant using new Cake Boss cake decorating tools. 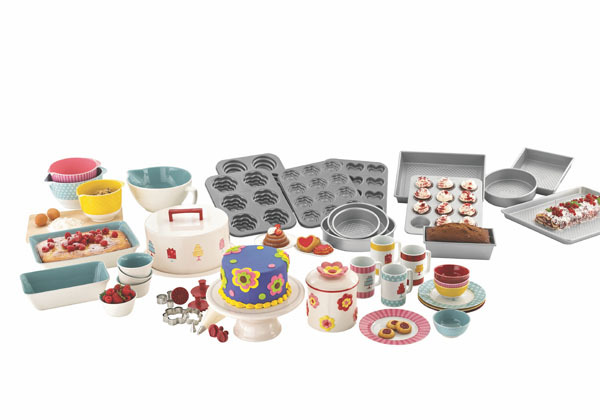 Now, I’m no stranger to cake decorating tips and tools, but I am def. a fondant newbie. Armed with coloured fondant, a rolling pin and this handy dandy fondant tool (above) I was ready to give it a shot. Gabby was very patient with everyone. Rolling out fondant is a lot harder than it looks! Gabby taught us to “stretch and tuck” the fondant around our cake. We carefully trimmed away the extra fondant, and now it was time for the fun part- decorating! 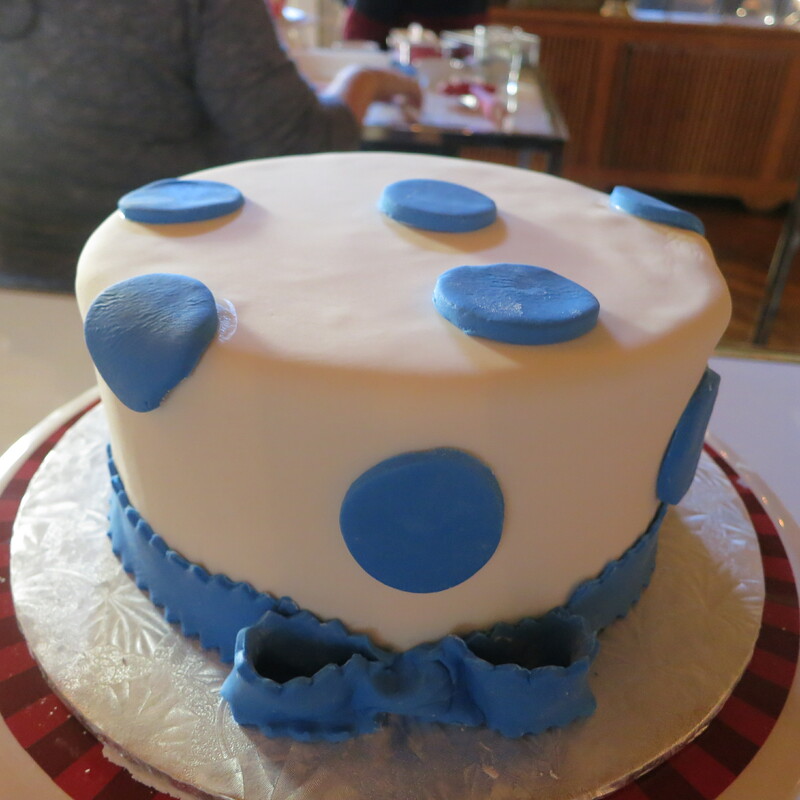 I decided to decorate my cake using polka dots (made with the precise circles set) and a crimped bow. I think it turned out pretty well! I liked using the Cake Boss tools. 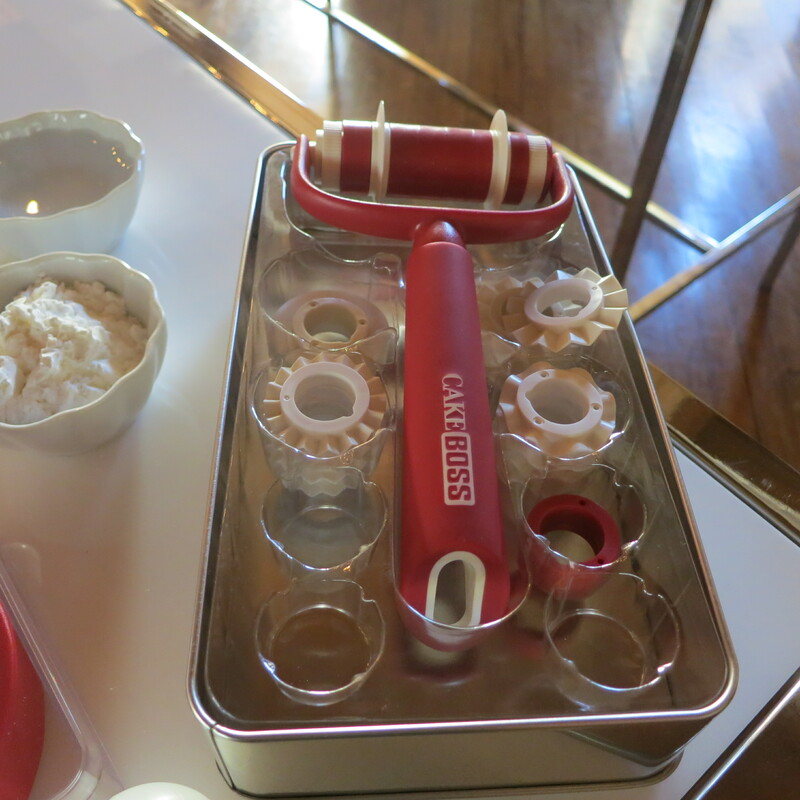 My favourite tool of the day was the Cake Boss Decorating Turntable. 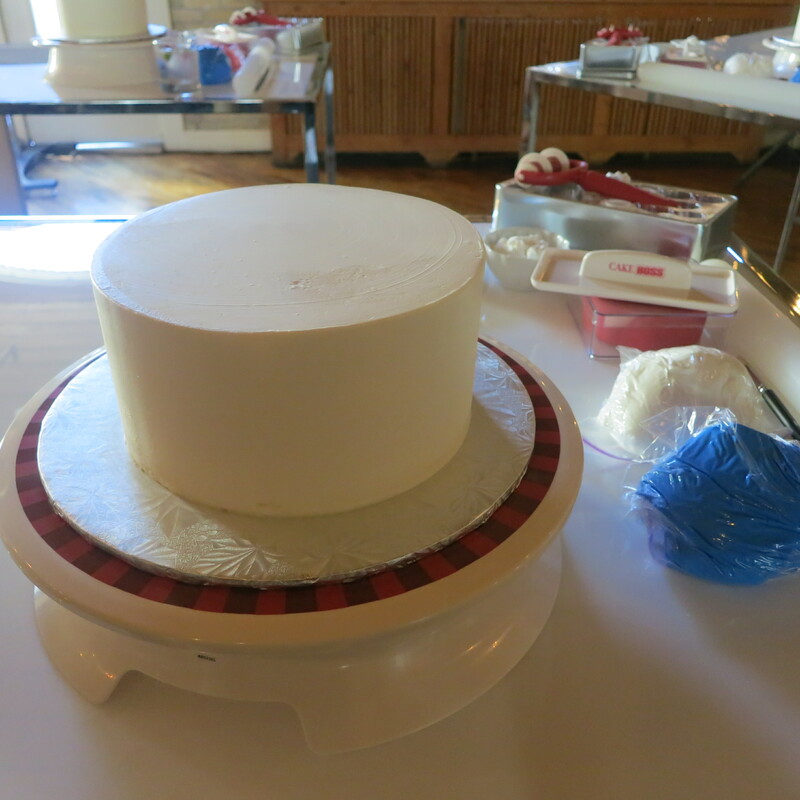 It was handy to be able to quickly rotate the cake while decorating it, and equally helpful that you were able to stop the spinning to focus on one area of the cake. 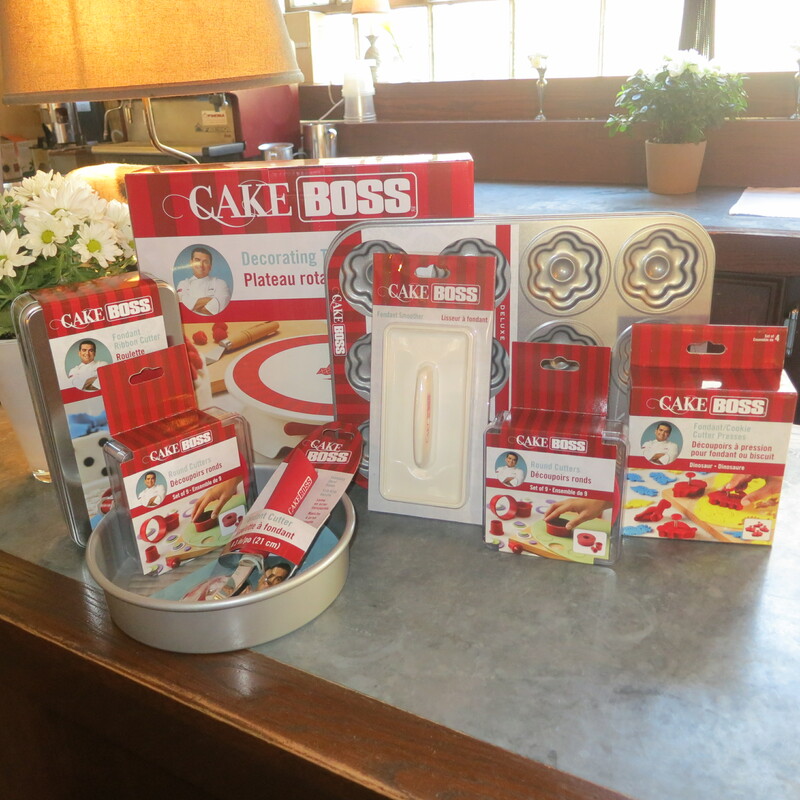 I can’t wait to practice decorating more cakes with my new Cake Boss tools! Check them out.